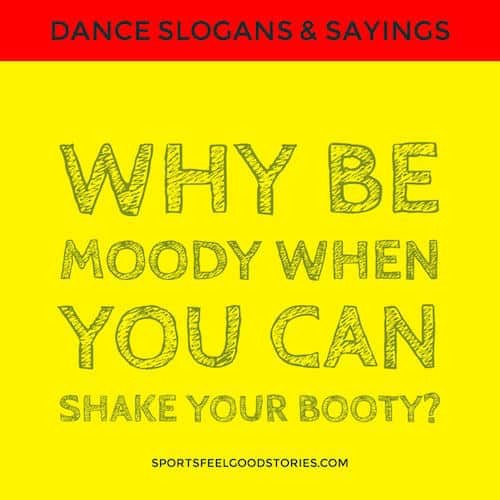 These dance slogans and sayings might just have you up out of your seat and dancing. There’s just something about dancing! It’s a universal language, and it makes people feel good. There’s a reason so many people find a connection to dance. It’s musical. It’s physical, and it’s spiritual. And more! 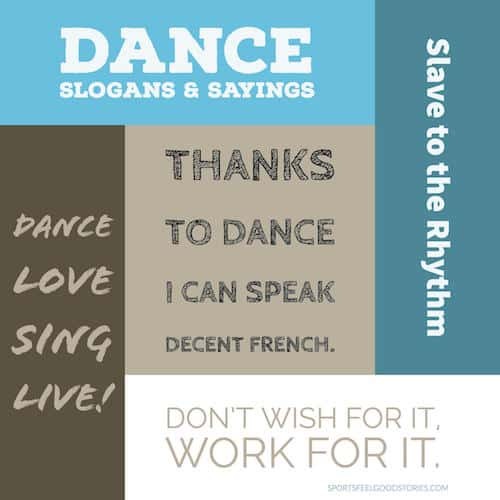 Enjoy these dance slogans, and remember to dance every chance you get! Dance like you’ve never danced before. My superpower is dancing in heels. 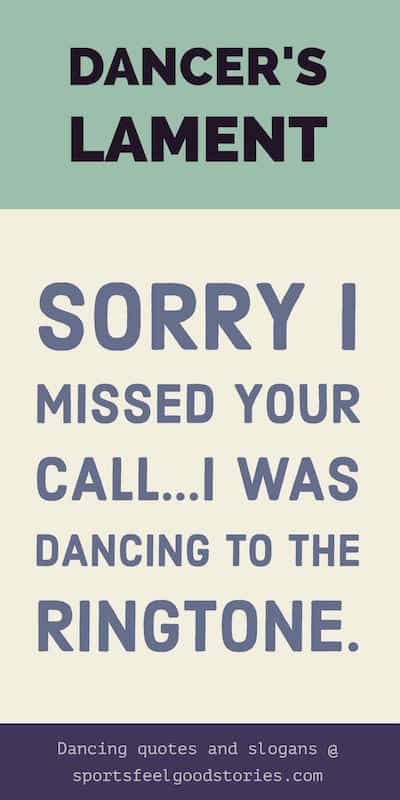 Dancer’s Lament: Sorry I missed your call – I was dancing to the ringtone. There’d be less wars if more people wore tutu’s. Dance is cheaper than therapy. Thanks to dance I can speak decent French. 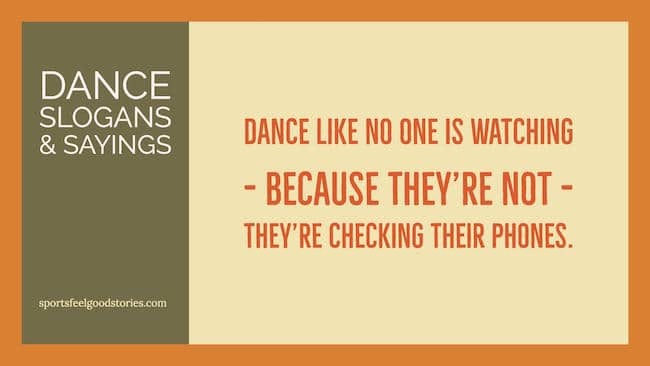 Dance like no one is watching – because they’re not, they’re checking their phones. Dancers are always on pointe. Trust me, you can dance. Signed, Tequila. Dance to the moon and reach for the stars. Find yourself and lose yourself with dance. Please click on visual above to take you to our Dance Quotes page. Ballet: the coolest way to wear a tutu and lots of makeup. Any recommendations for Dance Slogans? Please let us know on the Contact page. We appreciate your suggestions and feedback.